The Tellus Engine includes several physics driven simulations useful in the scenario construction process. Basic aircraft flight dynamics can be used for piloted or unmanned aircraft simulation applications, simplifying the processes of implementing complete dynamics. 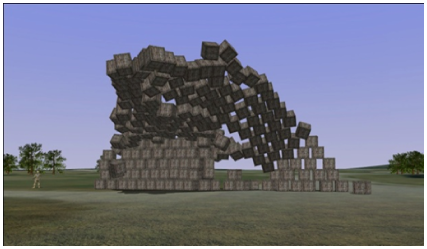 In additional, pre-built physics models for ground vehicles, rotary wing aircraft, ballistic missiles and particle systems are included as standard building blocks for visual simulation. Third party input devices can easily be incorporated in the simulation environment to provide a deep level of configuration and control. 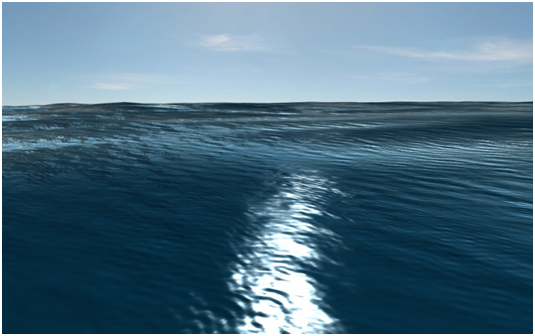 Tellus also utilizes the nVidia PhysX library for rigid body and soft body physics within the geospatial environment. The use of a standard physics engine provides the user with the tools needed configure physics driven behaviors with a minimal knowledge of the underlying API or requirement for extensive coding. This helps to automate complex behaviors needed for rapid production of simulation concepts.